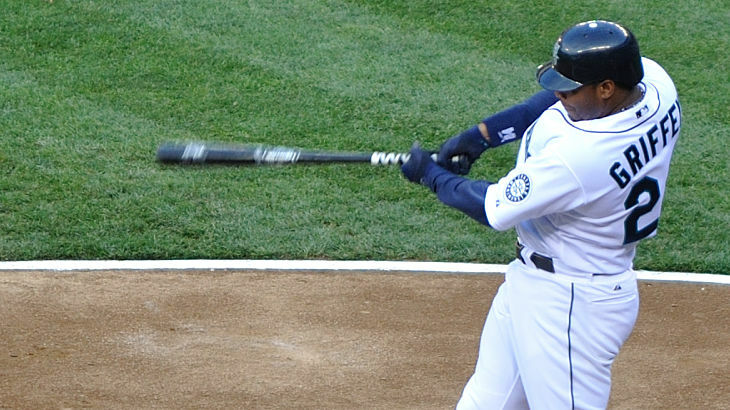 You are at:Home»ETF Strategist Channel»Why Investors Should Listen to Hall of Famer Ken Griffey. Jr.
By hedging with long-term put options, the DRS has historically minimized the impact of those bear markets. 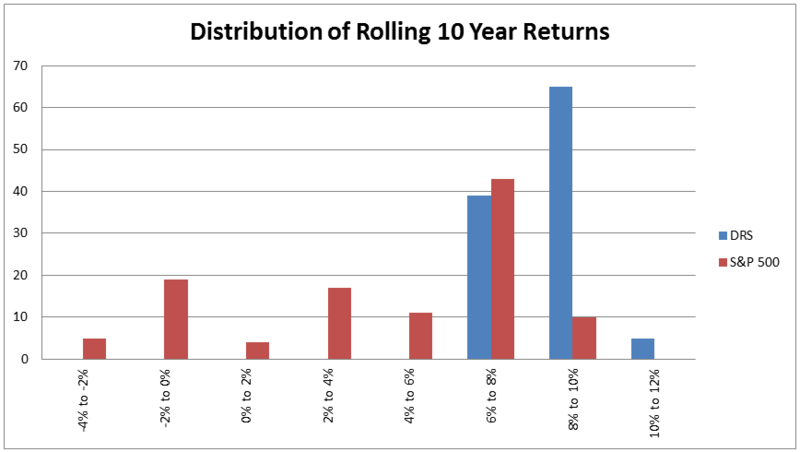 The distribution of DRS returns is what one hopes to see – the majority of returns are clustered near the average of the distribution. The long term returns of the Defined Risk Strategy are much more predictable. There isn’t a second peak to the distribution out in negative territory, like there is for the S&P 500. Of course, by maintaining the hedge at all times, the DRS will lag in up markets. There will be fewer observations in the high-teens or over-20% range. However, that is a trade-off the DRS has willingly accepted. It has always been Swan’s philosophy that avoiding losses is more important than capturing all of the market’s gains. The logic and justification for this are spelled out in our recent white paper “Math Matters” by Swan’s Director of Research, Micah Wakefield. 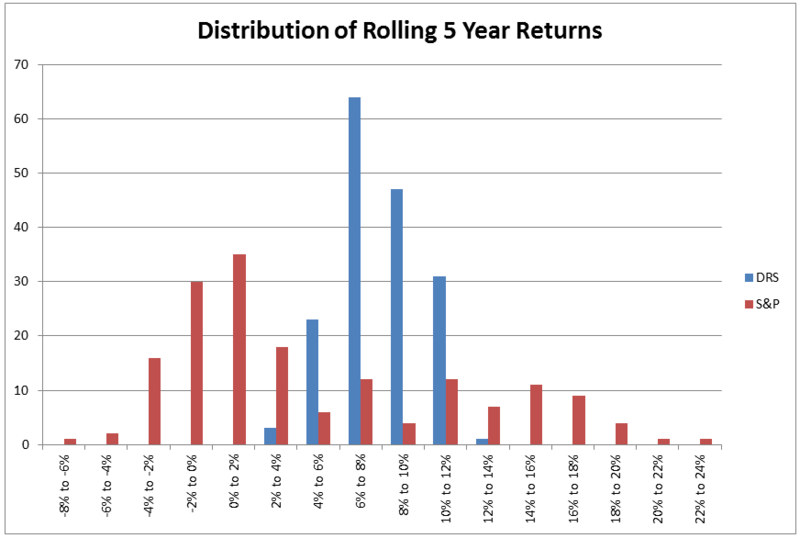 Compared to the S&P 500, the DRS’s annualized five-year returns look very appealing. Almost two-thirds of the 169 observations occurred in the 6% to 10% range. 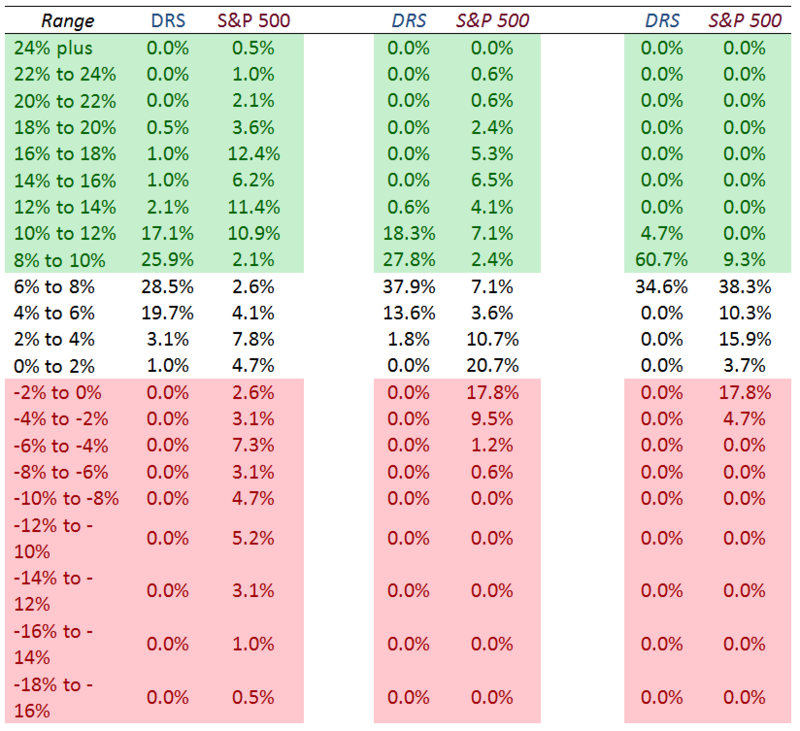 The two most common buckets for the S&P 500 were the -2% to 0% and 0% to 2% ranges. With a track record of 19 years, the sample size affords a healthy number of decade-long returns to analyze – 109 observations, in all. The long-term results of the DRS show a remarkable degree of consistency. Again, the value of hedging against bear market losses is easily illustrated in this chart. Another secondary, finer point of these charts has to do with timing. At Swan we are often asked, “When is the best time to buy the DRS?” If an investor’s previous market experience has been in something like the S&P 500, it is a perfectly rational question to ask. As Mr. Griffey said, it’s important not to get too high or too low.